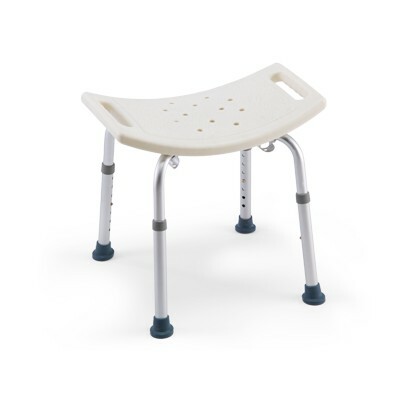 The McKesson Shower Chair from IndeMedical.com offers stability and comfort at an economical price. This shower chair offers a wide seat with handles for easy transportation. Aluminum legs have 1/2" snap button adjustments. 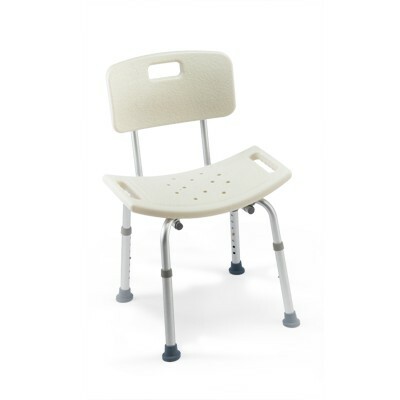 Available with or without a back, the shower chair supports up to 250 lbs. Seat to floor height adjustment: 14" - max. 21"
Overall Depth at Base: min. 13.5" max. 17.5"
Overall Width at Base: 17 1/4"
Back Height from Seat: 17 1/4"
Shipping Product Weight: 7 lb.